Cherry Blossoms by Ting Shao Kuang. 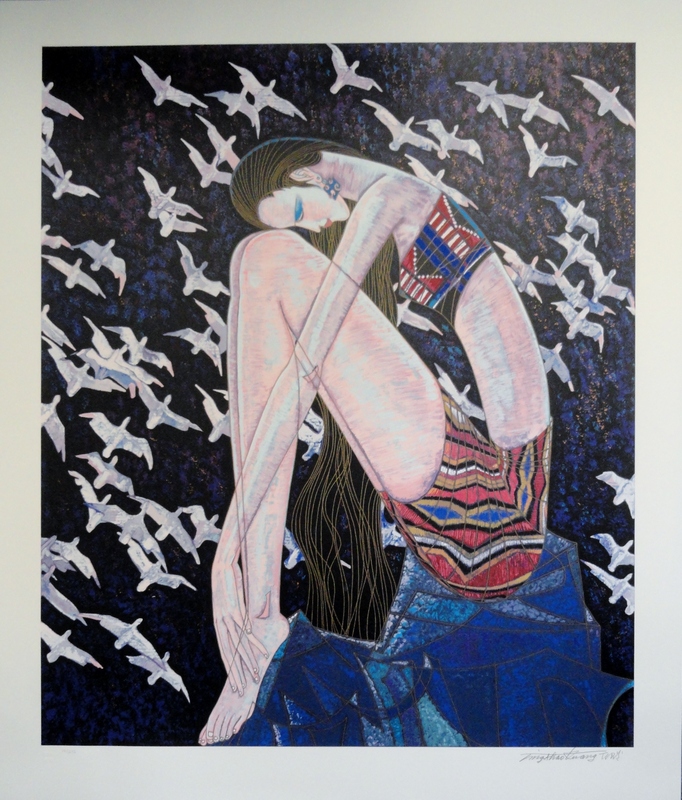 Limited edition serigraph. $8000.00. Make offer. 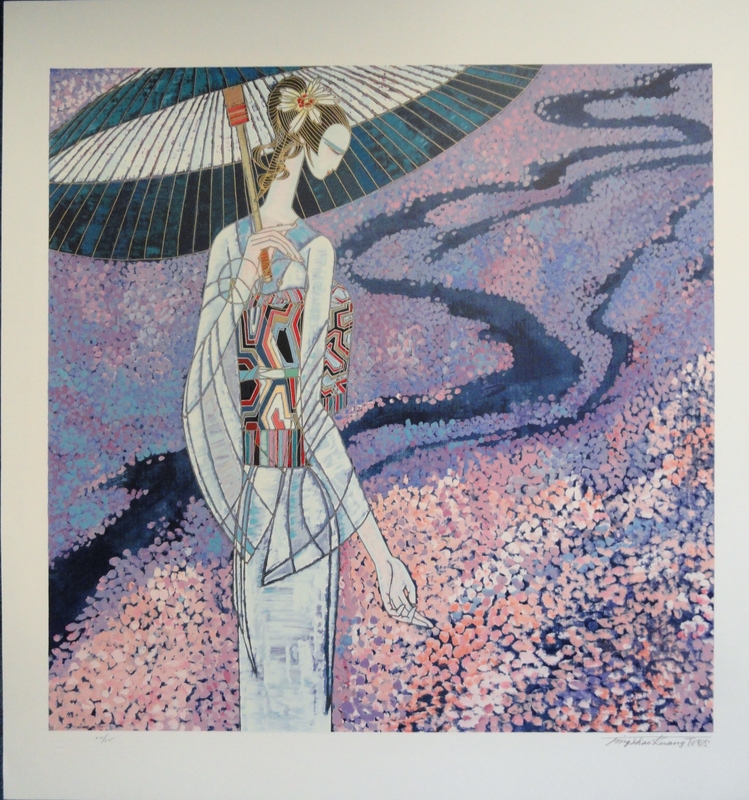 This work, Cherry Blossoms, by Ting Shao Kuang, was the first image that I ever saw of his work. The memory of it stayed in my mind for years until I had the good fortune to find it on the secondary market. I usually buy for other people, when they give me a wish list of artwork, and artists, whose work they want to find. But in this case, this work was for me. I like a lot of Ting Shao Kuangs’ work from the 1980’s. His work was colorful, elegant, and refined. I have read that he pulled back from the art business in the early 2000’s when he felt that his work was too commercialized. But, for me, the works that he created from the 1980’s, like Cherry Blossoms, were truly beautiful. 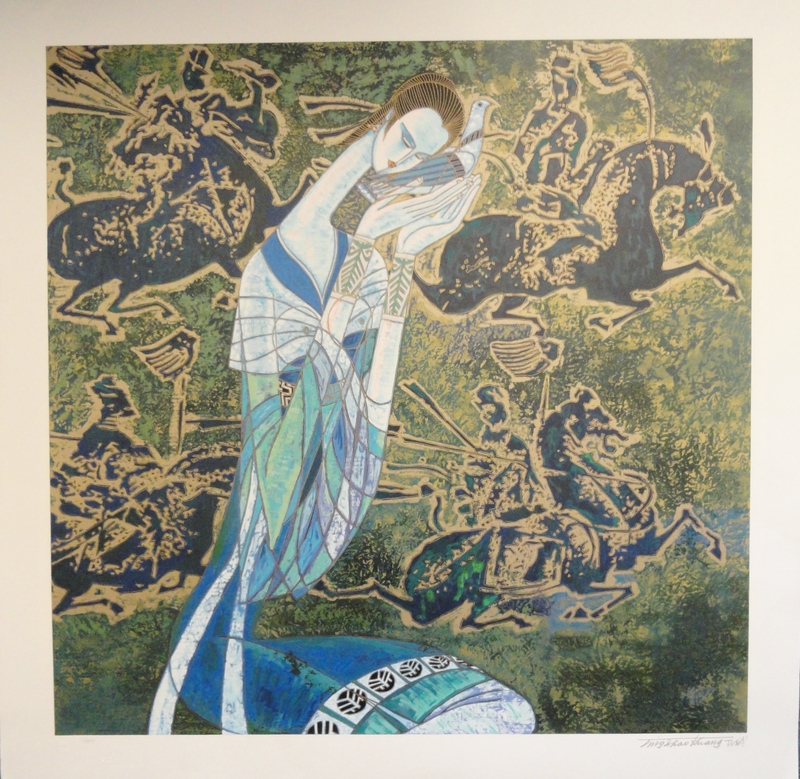 This is a small collection of limited edition serigraphs by Ting Shao Kuang, created in the 1980’s. 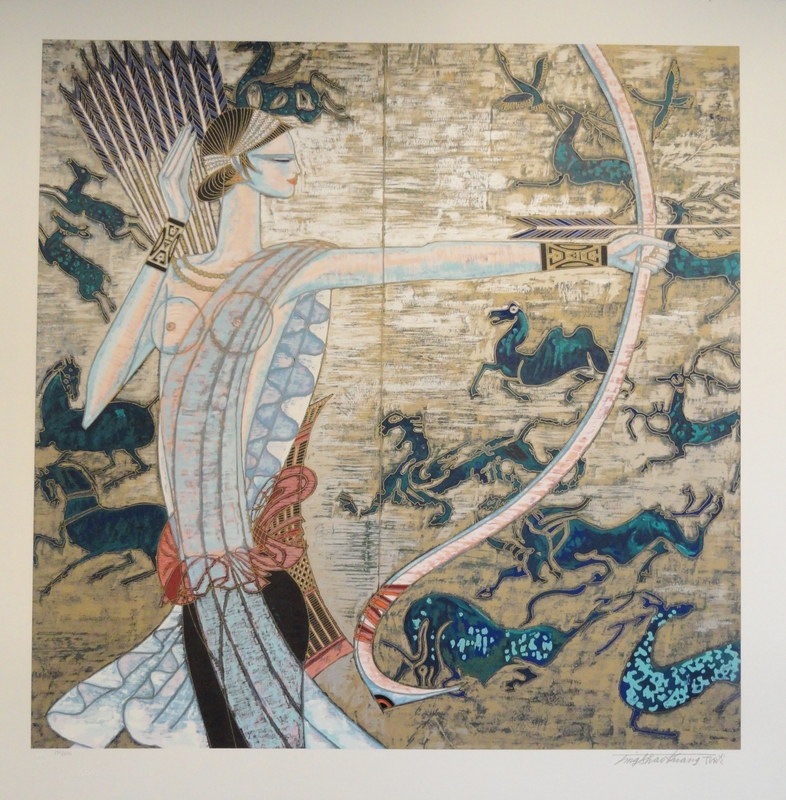 Hunting Ages by Ting Shao Kuang signed and numbered limited edition serigraph. $6000.00. Make an offer. Make an offer on all, or any / Ask a question. The prices shown are the secondary art market price listed at several online websites. I’m open to offers for less, within reason. Use the contact form below to reach me, or leave a comment. Thank you.